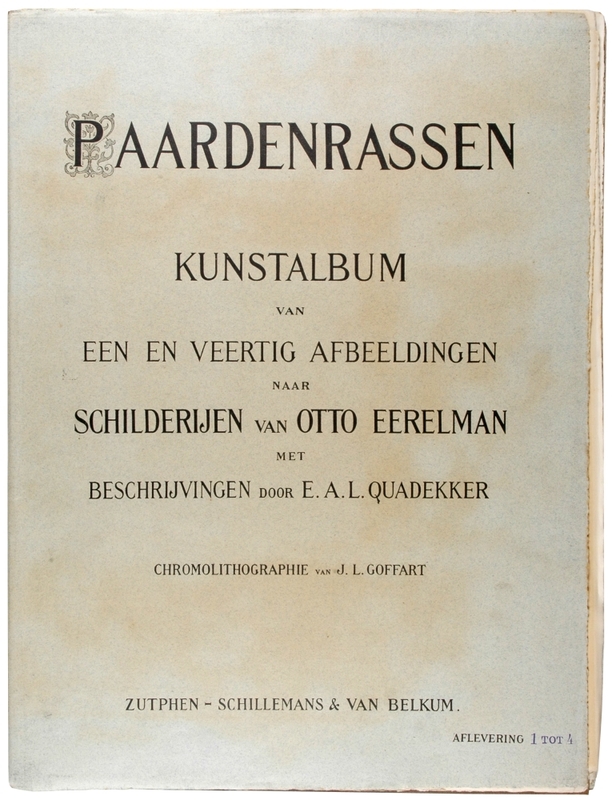 Zutphen, Schillemans & Van Belkum, (1898). Large folio (620 x 470mm). 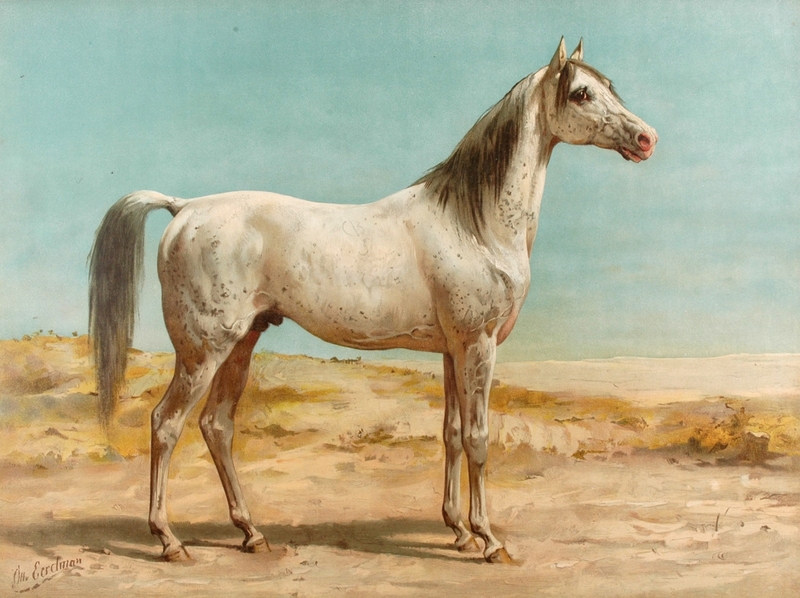 With 41 chromo-lithographed plates of horses and accompanying letterpress text in 10 original paper portfolios, preserved in the publisher's pictorial richly gilt cloth portfolio. 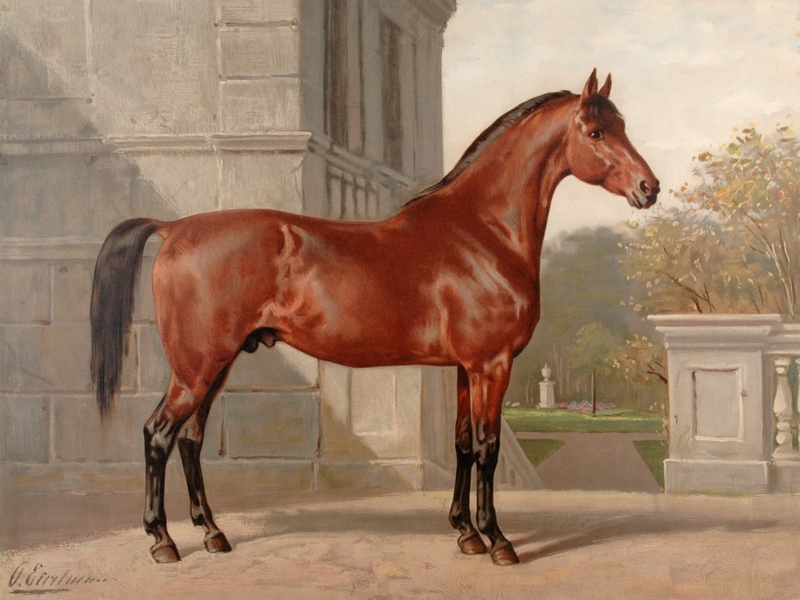 The rare first limited edition of probably the finest 19th century work on horses. 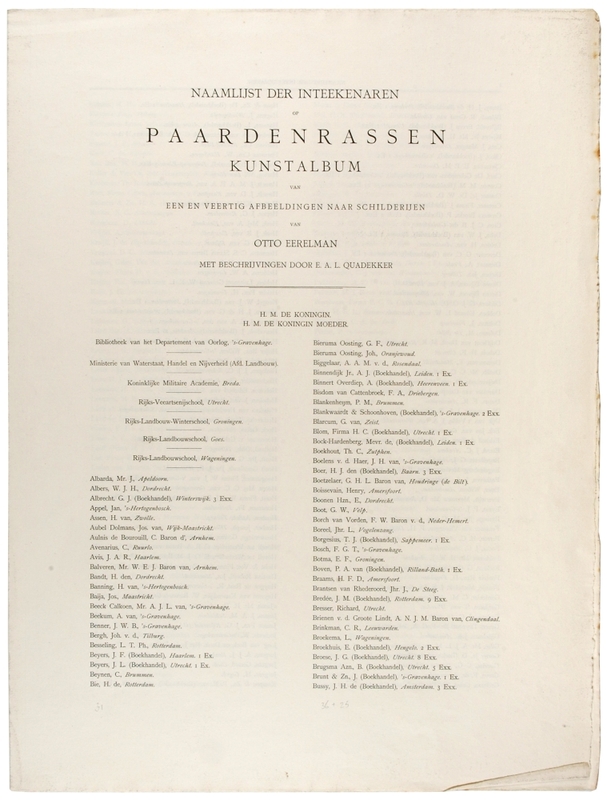 Our copy has thelist of subscribers which lists a number of Dutch nobility. The fine plates are after paintings by Eerelman and chromo-lithographs are by J.L. 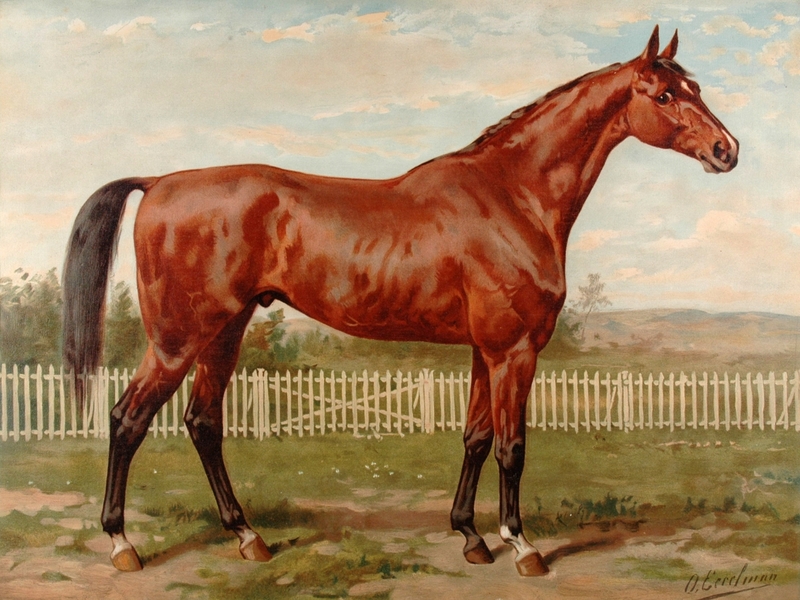 Goffart, the text is by Quadekker. 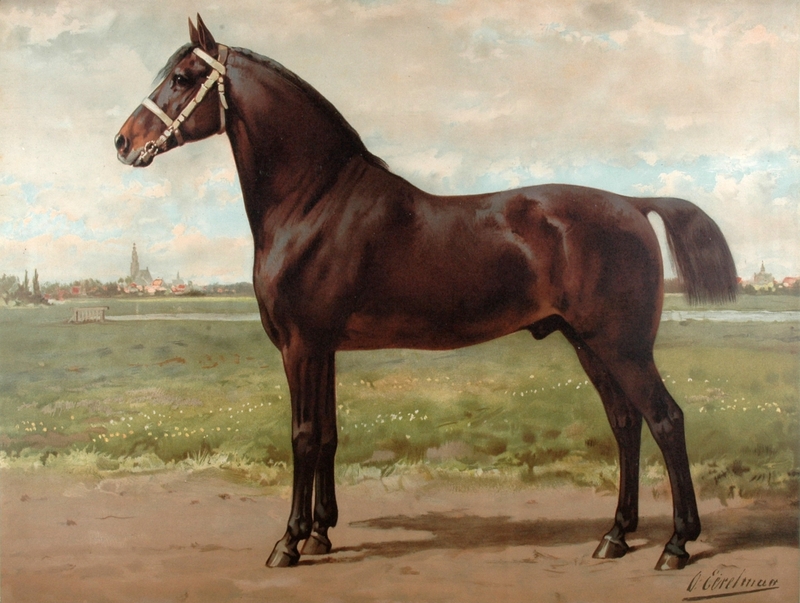 Otto Eerelman (1839-1926) was a famous Dutch animal painter, specializing on hordes and dogs. He likewise painted several portraits of Princes Wilhelmina and later as Queen. 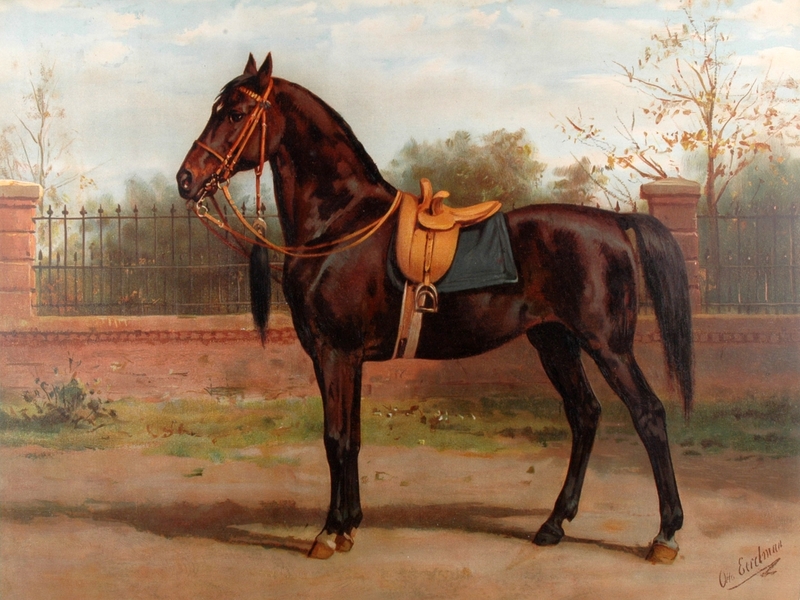 At the Royal Palace 'Het Loo' there is painting by him of Queen Wilhelmina riding a horse. 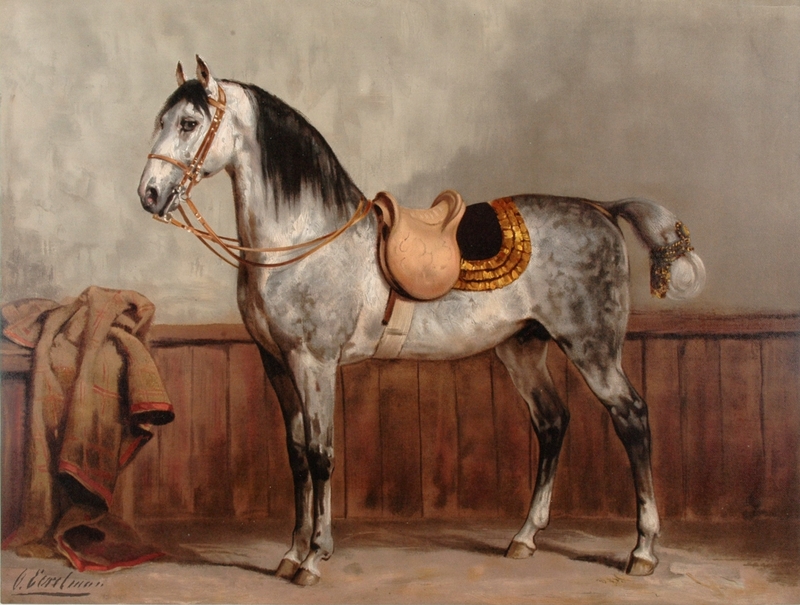 The first horse of the present album is Woyko, Wilhelmina's favorite horse, a mixture of an Arabic stallion and a Hungarian mare. 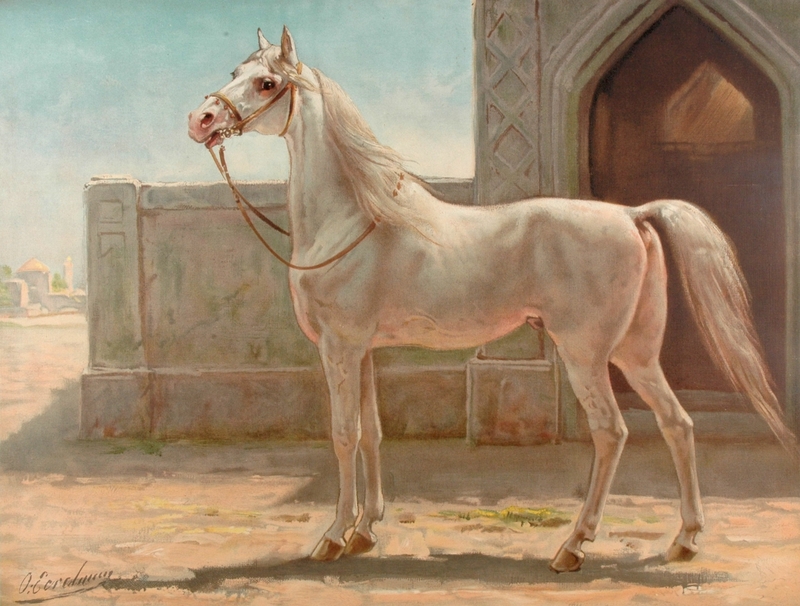 Among the horses shown in the album are the Arab Horse, American Race Horse, Andalusian Horse, English Fullbread, Lippizaner Horse, Hannover Horse, Hungarian Horse, Turkish Horse, Russian Race Horse etc. Each plate is accompanied by a 4 page descriptive text. Some plates towards the end with some occasional offsetting on opposite textleaves. 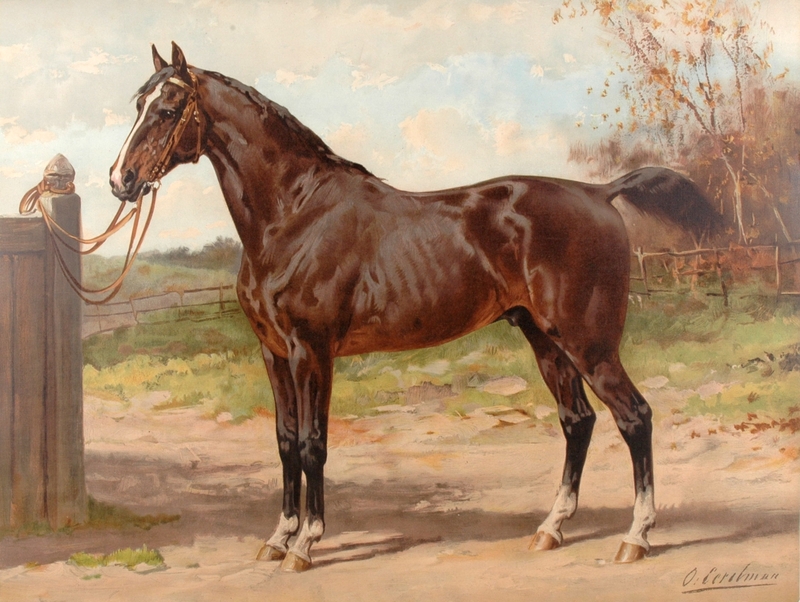 A fine copy of this superbly produced work showing the thoroughbreds of the world.